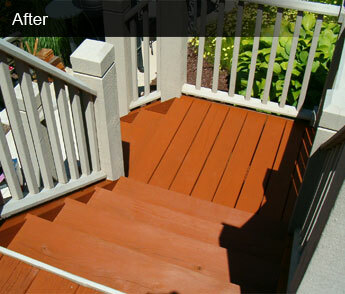 Is your siding stained green and black? 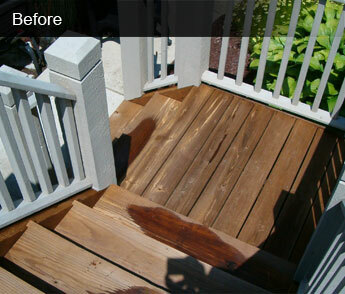 Having your siding cleaned brightens the outside of your home. 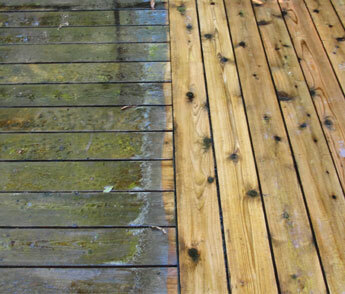 We provide a soft-wash cleaning process that removes moss, algae, and dirt from your siding. 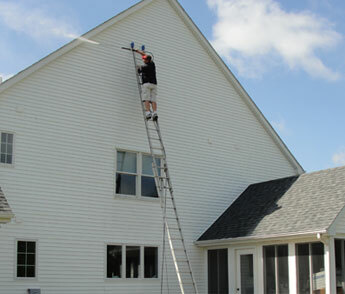 When cleaning your siding, we generally include all vinyl siding, fascia and soffit, and gutters and downspouts. 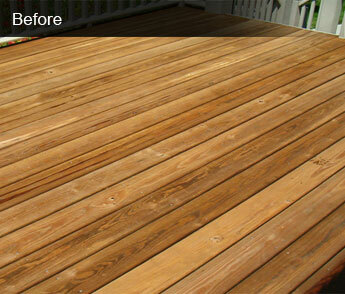 Maintaining your exterior wood surfaces is vital to preserving the longevity and beauty of the wood. 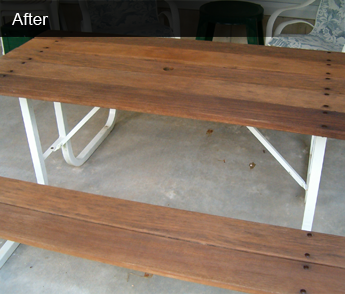 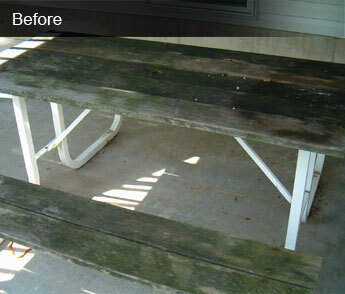 When we clean it, that ugly gray wood will look new again, and applying a quality sealer will keep it looking that way. 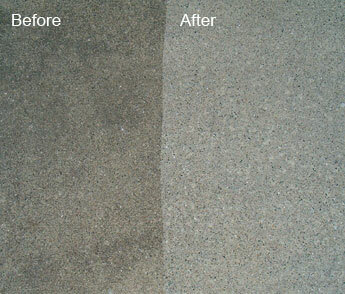 Customers are always amazed at the difference when they have their driveway, patio, or sidewalks cleaned and sealed. 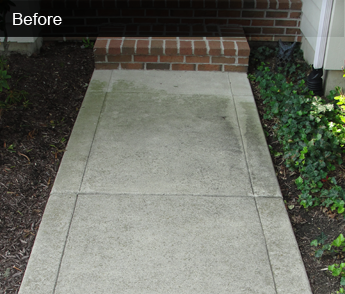 This service not only greatly enhances the aesthetics of your home, but also is necessary to maintain the longevity of your concrete. 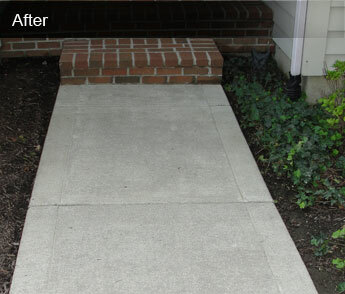 When concrete is left unsealed, water collects in cracks and chips and then freezes during winter, splitting the concrete further. 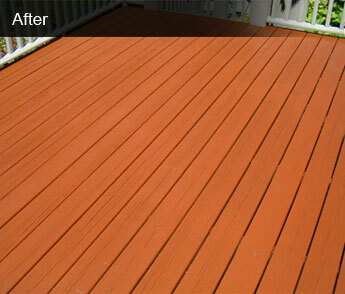 Sealing helps slow this process so your concrete lasts longer. 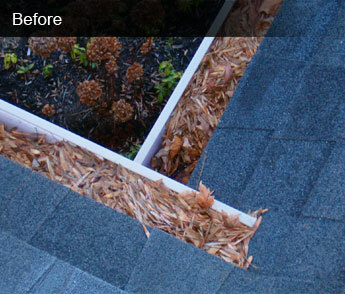 After our thorough cleaning service, your gutters and downspouts will be clear of all the debris and leaves that have been clogging them. 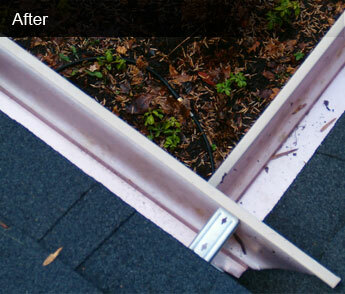 Let us put on gutter guards to eliminate the problem in the future. 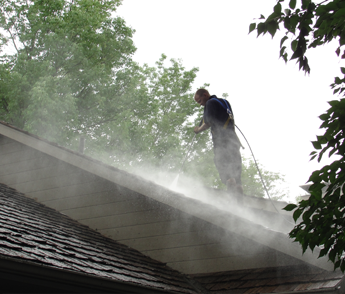 Cleaning and sealing your cedar roof is important to maintaining its longevity and beauty. 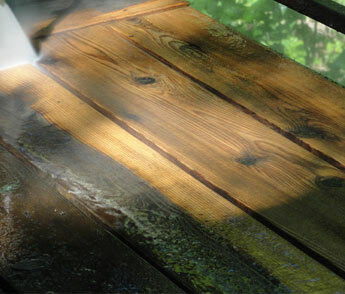 Let us help protect your investment in your cedar roof with a high quality sealer.